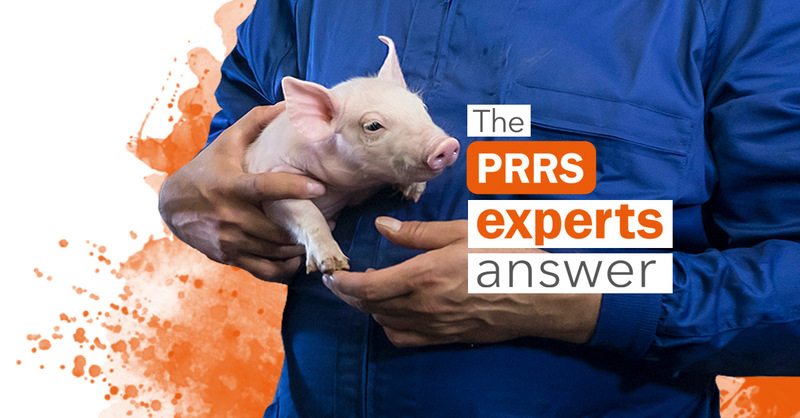 Vaccinating the breeding herd against PRRS: Is it necessary to vaccinate also the piglets? What’s the duration of maternal immunity? If we vaccinate the breeding herd every 3 or 4 months against PRRS, is it necessary to vaccinate the piglets as well? And, at what age would it be advisable to vaccinate them? What is the duration of maternal immunity? Sow vaccination will help to achieve the stability of the breeding animals, leading to wean negative piglets. If these piglets are housed in empty, clean and disinfected facilities and they remain isolated from previous batches, the piglets would maintain their negative status until the slaughterhouse, making unnecessary their vaccination. 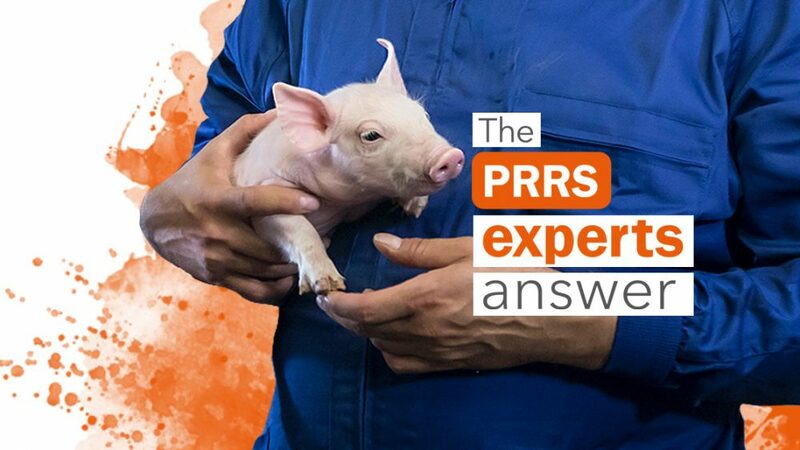 However, it is common for piglets to stay close to previous PRRS positive batches, getting infected once they lose maternal immunity that will last between 4 and 8 weeks. When this happens, it may be interesting to vaccinate the piglets, but we must bear in mind that the effectiveness of the vaccines varies depending on the strain that is circulating, so the results should be evaluated in every specific case. It is for this reason that the vaccine should not be the excuse not to apply all those internal biosecurity measures to avoid the passage of the infection from one batch to the next. Among these measures of biosecurity, perhaps one of the most important is to ensure that the material used to inject the piglets is batch specific, also use of gloves or wash hands and boot change between rooms would also be highly recommended. Si vacunamos el hato reproductor cada 3 o 4 meses frente a PRRS, ¿es necesario vacunar también a los lechones? y ¿a qué edad sería recomendable? Y ¿cuál es la duración de la inmunidad materna? La vacunación de las madres ayudará a conseguir la estabilidad de la explotación de reproductoras consiguiendo destetar lechones negativos. Si estos lechones se alojaran en locales vacíos, limpios, desinfectados y aislados de lotes anteriores, los lechones mantendrían su condición de negatividad hasta el matadero, haciendo innecesaria la vacunación de los mismos. Sin embargo, es común que los lechones se alojen cercanos a lotes anteriores positivos generándose la infección de los mismos una vez que pierden la inmunidad maternal que durará entre 4 y 8 semanas. Cuando eso ocurre es cuando puede ser interesante vacunar a los lechones pero hay que tener en cuenta que la eficacia de las vacunas es variable según sea la cepa que esté circulando por lo que los resultados deberán evaluarse en cada caso concreto. Es por este motivo que la vacuna no debe ser la excusa para no aplicar todas aquellas medidas de bioseguridad interna que permitan evitar el paso de la infección de un lote al siguiente. Entre estas medidas de bioseguridad quizás una de las más importantes es el asegurar que el material utilizado para inyectar los lechones es específico por lote, naturalmente lavado de manos entre salas o uso de guantes y cambio de botas entre salas sería también altamente recomendable.